Death of Internet Free Speech? OK.... I have just read that AT&T will be looking at installing "Internet Filters" soon to find dangerous, and radical blogs, writings, sites, etc over the Net! This is beyond dangerous! People have to wake up from their dreamworld, and realize once and for all that the last bastion of free speech, the Internet, is now in danger shortly of being put under the criminal Zionist control, and anyone who questions their authority will be blocked from putting out blogs or information against them. Even worse... They will add these "radicals" or "internet terrorists" to their master list of those to be arrested if the Police State ever comes about! I can see the day coming when martial law is declared, and Internet free speech sites like prothink, whatreallyhappened, iamthewitness, hufschmid, judicial-inc, rense, and an assortment of others are shut down and themselves, and their webmasters, arrested and quietly sent to detention facilities for "thought crimes"! The world needs freedom of speech, and the Internet is the last truly free media that can still get the messages out about these criminals. We must do our best to prevent this from happening, and soon. Bills for suppression of free speech are already in front of the US Senate, and the next step is to go after the Net! It is up to you, and everyone else, to get the word out, and let your local politicians know what is happening! Never be afraid of spreading the truth! A Well Deserved Rest... Now back to the fight! Well.... I took the last week off to take a well deserved break. Let me tell you, it was worth it! I see that the banking system, as predicted, is about to implode. I hope that my readers get the message... THAT is by their design. The Zionist Jewish pricks want the banking system to collapse, so that they can bring in their "Gold Based" system! Isn't it obvious? THEY control the gold! Therefore, there will be absolutely no change in our enslavement to them as a result. Debt based systems based upon Central Banking owned by criminals is always doomed to failure! It is by their design, and a trap. We can only hope that people rise up, and fight these criminals by Nationalizing the banks! Throwing the agents of the Rothschilds out of the banking system is a necessary step to end their enslavement. If the rest of the world follows suit, then we can have the criminals on the run. The problem is... The criminals control the governments, and therefore these faithful Rothschild servants will do as their masters tell them to do! I hope that people can see what is going on around them... Since Christmas 2007, there has been a severe drop in all retail and wholesale purchasing. People are not spending, and companies are beyond nervous.... There basically is no money to be spent! Debts have buried the general populace, and they are doing their best to keep themselves from bankruptcy. I suspect that the next step will be runs on the banks, and panics.... The criminals have control of the media, so they are doing their best to LIE to everyone that this is only a small recession. Confidence in the markets drive the market, and right now people are realizing that all is not well in the markets! The Zionist Jews want us as their slaves... There is absolutely no doubt that that is their ultimate goal! It is laid out in the Protocols of the Elders of Zion for everyone to read, and they are following that blueprint to the letter! The Protocols call for economic collapses as tools to reach their ultimate goal. The first step is to implode the banks. Second step is to put us all into their control fully by their gold based money. Third step is to create One world government, by saying that depressions can be avoided by having a single government! The fourth step is to set up their capital, and centre of justice out of Israel, with their king in control of us all! I hope that people can see these truths. It is still sad that we have naysayers, sayanim agents of zion, and others running around claiming real truth seekers as "antisemitic", or "racist", or "hatemongers". It is my hope that you, as the reader, can do his or her own research, and discover that all that I, and others that have the bravery to fight these criminals, are absolutely right! Lets not let them win! Pass the messages around, and TELL people to no longer be sheep! We the goyim are not their cattle, to control at their every whim, any longer! Well.... It looks like the economy is in free fall.... Alot of people cannot understand that the monetary system as it stands today was designed to implode upon itself eventually! As stated in alot of sites, the Federal Reserve Bank of the US, and the Bank of Canada, are arms of the Rothschild Banking Empire of Europe. We have been slaves to the criminal Rothschild family since the introduction of the Fed Reserve in 1913, and the Bank of Canada "Act" of 1913. Our own governments sold us into slavery then, and we have been paying servitude to our masters in Europe ever since. As I have stated before, the Income Tax collected in both the US and Canada does not go into the government coffers to pay for services, but goes almost directly to these criminals to pay the interest on their fiat money! Now the US admits to being around 11 trillion dollars in debt, but in truth, they are almost 1/4 QUADRILLION DOLLARS in arrears, due to not only the personal and government debts, but as a result of the volatile Stock Market, primarily the "Derivatives" Markets as well! This is more money than all the personal values of every living person in North America put together! When the bottom falls out, and it appears that it will soon, the upcoming Super Depression will make the Great Depression of the 1930's look like a small blip in history! People have been fooled by both the government, and the media, that all is well and that only a "recession" is approaching. This lie will cost everyone dearly! Why did the general populace ever get to this point? Its almost like people have been sleepwalking while the criminals got rich. These criminals control all the governments of the western civilizations, and use their controlled media as a means of dulling our senses. We have lived in their dream world for so long, that the truth may be too much for most people to bare! The fight must be for us to end their slavery to their money. Pass the message around about the truth behind so called Central Banking, and about the Rothschild Empire. Google all the information about these criminals, and view some videos such as the "Money Masters". Tell people to use the Internet as their source of real news, and not the criminally controlled mainstream media. Understanding what we are up against is the first step towards ending their power! I will put up more blog writings soon..... Alot of this information is also covered in some other sites such as prothink.org, and iamthewitness.com. Feel free to search these sites, view their videos, and listen to some of their audio files... They can be very useful for you to understand the importance of this fight. Have faith, and continue the fight! Well, alot of people were impressed by my expose on Apollo over in myspace. So, I decided to tell everyone that I will be commenting on Project Apollo in this website also, so stay tuned! Lets start by saying for now that Project Apollo was a sham, a hoax, and a deliberate manipulation of the American public between 1967-1972! For 40 billion dollars, the American taxpayers were duped into the belief that we actually landed men on the moon, and returned them safely to earth. Critics of the Apollo Missions abound, and alot of them have very good, and critical reports and videos to back up their information. Many like Ralph Rene, Bill Kaysing, Jack White, Bill Wood, and Jim Collier, spent a good portion of their lives looking into Apollo closely, and came to the conclusion that Apollo was a massive hoax on the world. I recommend for a start that you take the time to look at the video series "moonfaker" by Jarrah White available in its entirety on google video. If you do not want to look at all the videos, then concentrate on the Exhibit "C" grouping. The information is concise, and researched very well. Let the naysayers continue their shooting of the messengers. Remember how we were led to believe that 9-11 was done by 19 Arabs with boxcutters? This alone shows that the government can feed people lies, and the majority will believe it. It takes those that are not afraid of the truth to do their own research, and come to some startling conclusions. Well... It is official. The American Political System is officially dead, and tyranny now reigns supreme. The American nation, once proud in its established system of democracy, based upon republican ideals, has fallen under the control of tyranny. There is no doubt about it anymore. With the blatant fraudulent voting that has just taken place in Primary "Elections" in both the states of Iowa, and New Hampshire, there is absolutely no doubt in anyone that still has a clear conscience, that the American democratic system is officially dead. 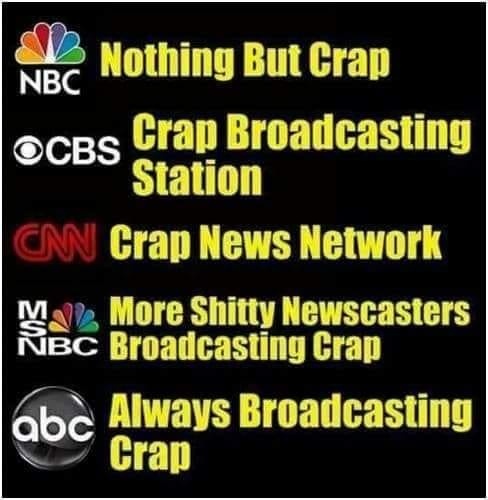 Americans are too dumbed down by their flouridated water, and their idiot box called television, to no longer put up a real fight for the voice of the people. Congressmen, and Senators, are totally controlled by corporations, or certain lobby groups controlled by foreign governments. The so called "elected" officials are puppets to these masters. The people are but controlled sheep, and they are spoon fed lies by the media that is totally controlled by these same criminals. It is so sad to see that people just turn a blind eye to these crimes. Vote counting by machines that no longer spit out paper to prevent vote fraud, are now the norm. Americans have watched their elections in 2000, and 2004 being stolen right in front of their eyes, but have neither the faith, or the ability anymore to fight back against this blatant crime. It has been said that dictators stay in power by rigging elections... How is the American voting system any different? Josef Stalin even said that it does not matter how the people vote in elections, it is those who count the votes that decide the elections! Again, how is this not so true about the American political system today? America is lost to dictatorship, and its once proud people have given up. If this statement makes you angry, you should be! The 2008 election is a SHAM, and a complete fraud. A new revolution may be the only hope for the American republic. It may take radical ideas, and radical methods to save a once proud nation from itself! And for those who looked at this upcoming election hoping for a savior to come forward to save America, I have only one thing to say.... Its time for you people to step forward and fight for what is left of your freedoms, and quit hoping for someone else to save yourselves. YOU are the only hopes left! This is my first blog article! And I have to say, it is great to get out from sites such as "myspace" and present some information here for people to research for themselves about the real world we live in. Lets first start up by thanking sites such as www.iamthewitness.com for their valuable research in showing the real world for what it is. Lets face it... The world right now is a mess, and very little of the truth is available through the mainstream media (MSM).... We have been lied to about our monetary system, our controlled media, our government, and our history. Its time for us to fight back, and expose these criminals for what they are... Criminals! I also suggest that people take the time to listen to Benjamin Freedman's speeches, especially the eye opening one he did way back in 1961, and to listen and watch Eustace Mullins videos closely. These are all eye openers to the truth about our sick world. My other blogs no longer exist as I concentrate on this one instead.. I decided to concentrate on presenting factual information here based upon the truth... It will take time to develop an audience since I am new at this "blogging" business.. I am not an "Anti-Semite", due to the fact that that terminology is very illogical to start with. I am a real truth seeker, and always have been. I spent years trying to get the message out to people through direct contact, but to no avail....That is why I have turned to blogging instead. There will be no material presented here that is not backed up by facts that everyone can research for themselves. Fear drives people away from research....I will not cover the "Holocaust" due to the fact that I live in a nation with very questionable "Anti-Hate" laws... Basically, if I am in defiance of those laws, I could see jail time. All of my links to other sites are used to only back up my material. I have also posted comments in those other sites, and am open to any comments, and suggestions. Never be afraid of discovering some truth about our world. The dominance of the criminal elements must be exposed, and defeated. We can take proper steps in that direction by passing information around FREELY for others to observe, read, and research. We still live in a free society, or so it seems.... I will gather information, post material, and try my best to discover how to expand this site and to present some reality and real facts here.... It takes time to learn how to attach videos and audio files, and I am a "Newbie" in that regards. Freedom, people.. That is what it is all about!